“Caleb’s Crossing” is the dramatic story of Caleb Cheshahteaumuck, the first Native American to graduate from Harvard in 1665, but the main character in the novel is Bethia Mayfield, the daughter of a Puritan minister. The family lives on the island of Martha’s Vineyard off the coast of Massachusetts. Bethia has a brother, Makepeace, who is a year older than she is. Each night the minister father tutors his son Makepeace to prepare him for Harvard College. Bethia, being a female, cannot go to Harvard. However she listens in on the tutoring lessons and soon discovers that Makepeace is a somewhat slow, indifferent student, while she picks up all the lessons she overhears including the Greek and the Hebrew quickly. How many times has this scene been repeated throughout history where the brother is given every opportunity while it is the sister who is actually the sharper of the two? Should we follow what our elders and religions tell us, or should we follow our own eyes and ears? “Caleb’s Crossing” is quite passionate and eloquent on the subject of women in the Puritan society, especially since women did about two-thirds of the work. 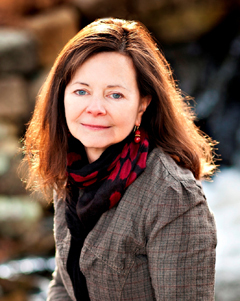 The novel is also passionate and eloquent on the relations between the Puritans and the Native Americans who are the original residents of Martha’s Vineyard. Ultimately hostilities between the Native Americans and Puritans would result in the King Philip’s War, but at this point in 1660, the Puritans were encouraged by their English backers to try to convert and educate the ‘salvages’. Thus two Native Americans, Caleb and Joel, are added to the minister’s tutoring sessions. As it happens both of them prove to be better students than the son Makepeace. 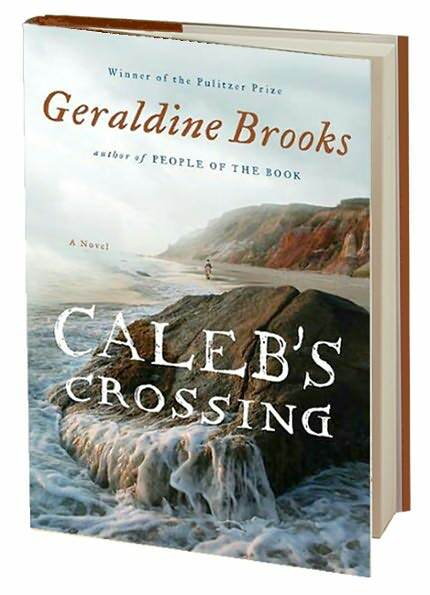 “Caleb’s Crossing” is written in a forceful straightforward style that may seem somewhat old-fashioned to some. There is no modern cool irony or edge; those devices probably wouldn’t work in a novel about the Puritans anyway. There are just enough Puritan touches to the language (“It was somewhen later…”) to make the writing seem authentic. I found the story gripping and engrossing. The novel is based on historical fact, but there is little existing documentation of that time and most of the main characters are entirely made up. The characters of Bethia Mayfield and Caleb are strong, intelligent young people and make good role models. I can see high school teachers throughout the United States assigning this novel to read as part of the study of Puritan society. It will be a pleasant way to get the inside story of the Puritans. The novel belongs up on the shelf with “The Scarlet Letter” as another great Puritan novel. It is somewhat surprising that it was written by Geraldine Brooks, a writer from Australia. “Caleb’s Crossing” is outstanding historical fiction that presents the entire Puritan and Native American society of that time with insight and compassion. I don’t know if it should be so surprising that an Australian author can effectively write about an American topic. Just as many Anglo authors write about other countries (most notably the countries of their origin but sometimes they branch out), an Australian novelist could write an excellent book about American history, if properly researched. Could a United States author write an excellent book about Australian history? Somehow I think Australians might be offended if a US author tried this. I know I read one other book by Brooks, I think it was ‘World of Wonder’ which I didn’t like quite as good as this one. I suppose the most likely complaint with ‘Caleb’s Crossing’ would be that the Indian students are just portrayed as too good to be real. I think Brooks may be interested in that lucrative textbook market. But the novel is passionate and exciting. I hope not Tony. If Peter Carey can write Parrot and Olivier in America I reckon we shouldn’t resent Americans writing about us! I have finally read and reviewed this book. I liked it though with some reservations. I agree though that it would be a good high school book – it’s a good read and there’s lots to get your teeth into. I particularly liked Year of wonders and March. Loved the latter. Like Biblio I was disappointed in The people of the book. I enjoyed the history of the book sections – they were nicely done – but the contemporary story that links it all didn’t really work for me. Is Bethia’s brother, Makepeace, a Puritan or an Indian? How did Geraldine Brooks come up with Bethia’s brother’s name? Bethia’s brother Makepeace is a Puritan. Puritans frequently named therir children after abstract concepts like Faith, Hope, and Charity. The father of Bethia and Makepeace wants Makepeace to be educated, because Makepeace is the oldest son even though Bethia is the superior student. Also Makepeace isn’t very interested in studying. When the Indian Caleb joins the class, he is another superior student, and it is quite evident that Makepeace doesn’t belong in college.